Stink is super excited to be going on the school excursion because they are going to the Everybody Stinks exhibit at the Science Museum. Whilst there Stink discovers he has an amazing gift, he has a really good nose, he can tell the difference between all sorts of super smelly things. 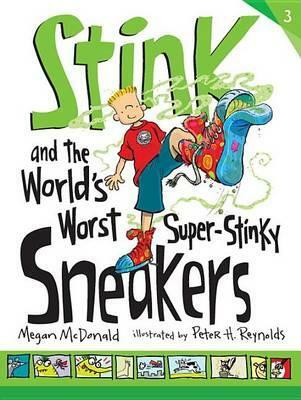 Stink decides to enter his stinky sneakers in the competition for the worst smelling sneakers but his sister Judy ruins his plans. This is when Stink sets out to make his shoes as stinky as they used to be. Then he discovers that his gift gives him an amazing new opportunity. Stink is a lot of fun, a good match for his sister Judy Moody. 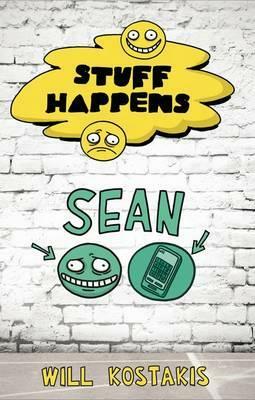 The stories are fun filled and even have snippets of interesting information. 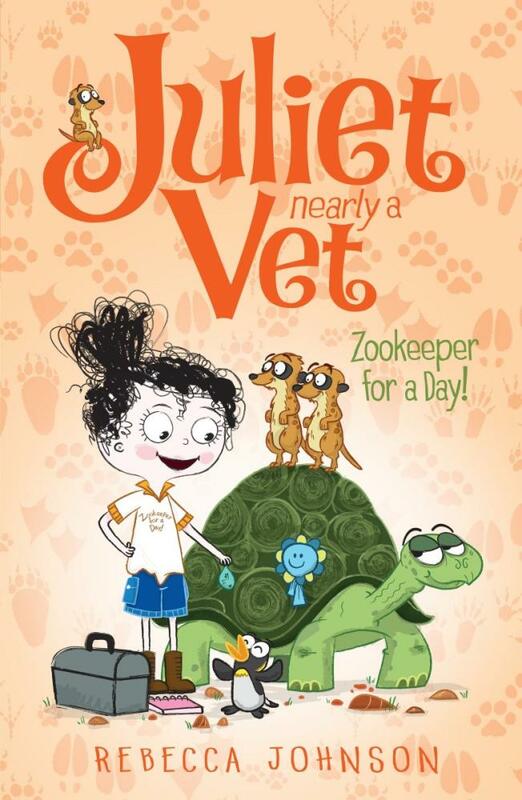 The language is perfect for young readers and the illustrations complement the stories wonderfully. A great little series. 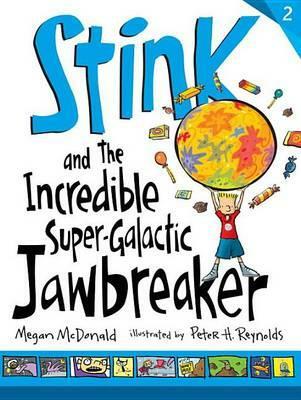 Stink uses his money to get himself a jawbreaker, but he soon finds himself disappointed as it doesn’t break his jaw. Stink decides his best course of action is to write a letter of complaint to the company that makes the jawbreakers. This turns out better than he hoped because he gets a huge box of jawbreakers sent to him. Due to his success Stink decides to write a whole lot more letters in the hope he will get more stuff sent to him. Grandma send Stink some glow in the dark pyjamas to wear to the school sleepover, even when things goes wrong it’s not so bad because Judy does something cool to fix it. Then it seems his best friend Webster isn’t talking to him and Stink doesn’t know what he has done wrong. Turns out that Stink in his excitement at getting big things in the mail overlooked a very important small letter. A fun instalment from the world of Stink. These stories show what you can do and what some important things are that may be easy to miss. Stink is a bright character, who is proactive in things he does. 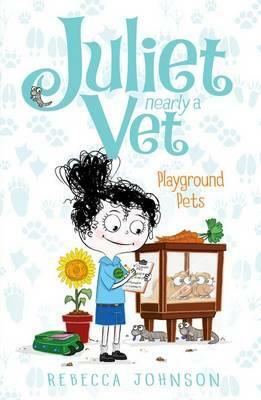 The stories are a lot of fun and perfect for early readers who want the challenge of a chapter book that isn’t too tricky for them. Duck hears a funny noise early one morning whilst still in bed. Scared she runs outside and tells Pig. As it goes from animal to animal the story of the noise gets scarier and scarier, until they are convinced that Duck has a monster under her bed. Together the friends get prepared to hunt this monster down and save Duck. What they find is not at all what they expected. I love books by these guys. Landa’s stories are fun and somehow always engaging. There is plenty of action and text to keep the older picture book reader/listener engaged. There are also plenty of sound words to allow for interaction. 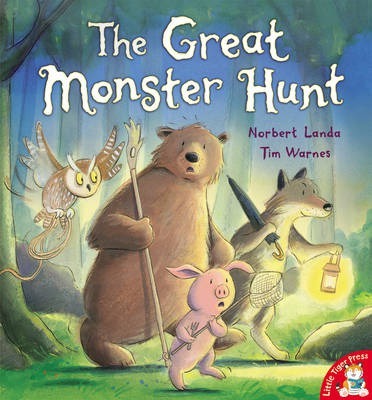 Warne’s illustrations are expressive and compliment the story so well. This combination of creators never miss.